Chef, Patissier, Chocolatier……now Culinary Educator. Andre’s passion for all things culinary is infectious. His knowledge and skill level is well beyond his years and his desire to learn more about the industry is incessant. Ask Andre a question, and he’ll answer it like he was reading straight from a textbook. Ask him to perform a technical skill and he’ll perform it with precision and flare. 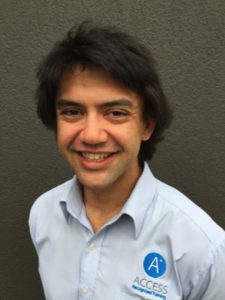 Andre is highly regarded by both employers and his students. He is constantly finding new and innovative ways to engage and meet student needs and the outstanding results achieved by his students is testament to this approach.